Let's Light It Up !!! Did you know, 18 Wheels has grown so much over the past 12 years that we now have 3 trailers in use across Western Canada! In Dawson Creek, Our little elves are hard at work refurbishing the Original 18 Wheels Of Christmas Trailer that started it all 12 years ago! The trailer is getting a paint job, decals repaired, and best of all, a terrific Christmas light display that will rival the original. There will be over 240 feet of rope lighting affixed to the trailer just in time for the Pouce Coupe Truck Christmas Light Parade. 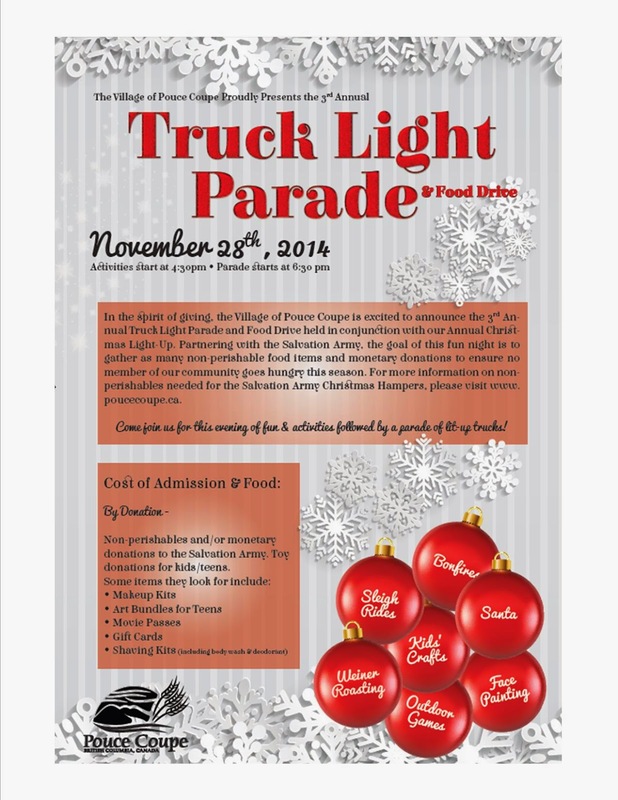 18 Wheels will be onsite for the parade, there for advertising and of course, collecting food for the Food Bank in Pouce Coupe. 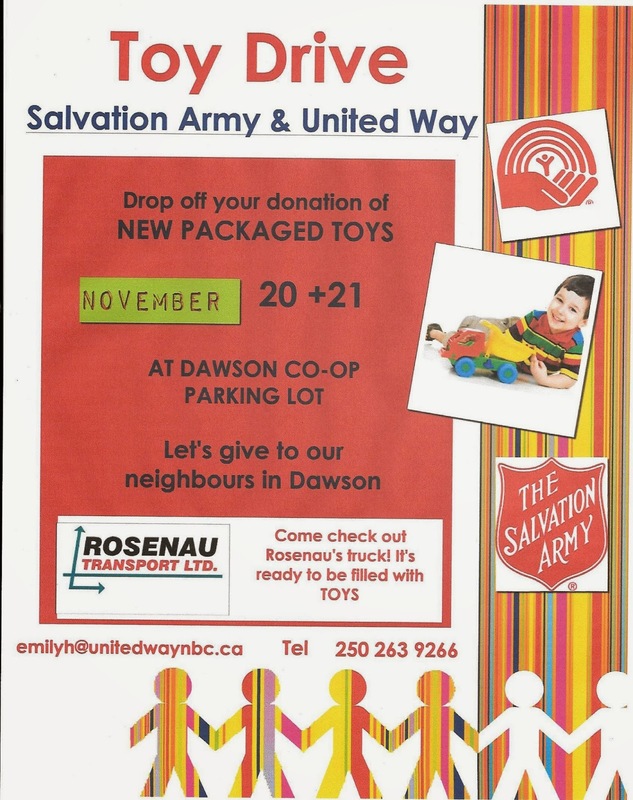 18 Wheels, United Way and The Salvation Army! Be sure to check out our brand new Facebook Page and come join us at some of our exciting events being held across Western Canada! 18 Wheels Puts The Hammer Down For 2014 ! 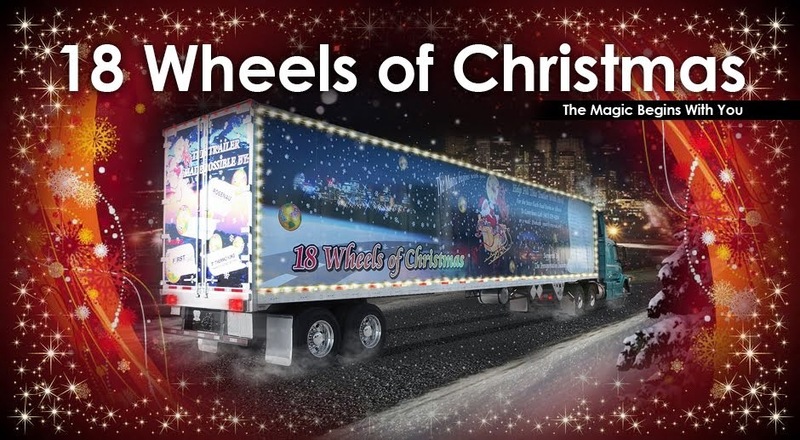 Writing a Blog Post only takes a few minutes but planning 18 Wheels Events goes on year round ! This year is no exception as we Ramp it up across Western Canada to fill those Food Banks. Here is just a glimpse of what is going on. There is no better place to start than where it all began in Calgary AB. Here is a synopsis of events going on there this year. Naturally there may be a few added in here and there. 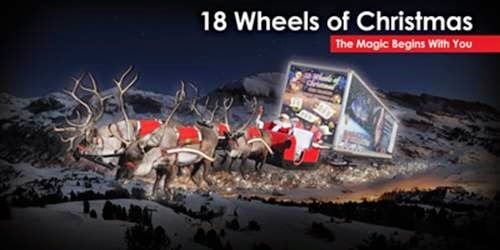 December 12–15th Save-On-Foods Panorama Can Man Dan will be living in the Christmas trailer for 4 days collecting food and cash all for this campaign. We also have 101.5 Kool FM and 95.3 The Peak doing spots and promoting all 3 save-on-foods events. December 17 5:30 PM delivering to the Calgary Food Bank. We will keep you posted with all the events and how we are doing as well we will send pictures. Santa and Skippy will be in attendance for a few hours each event.